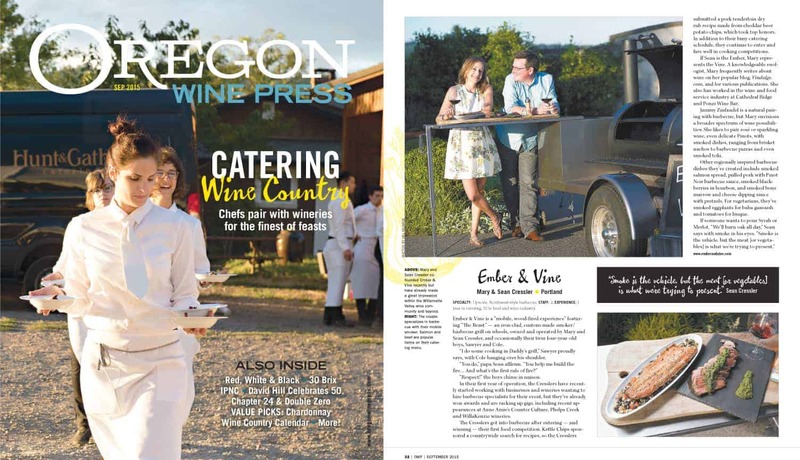 We are featured in this month’s Oregon Wine Press!!!!! If you’ve been following along here you know that this summer Sean and I have been cooking at various events (from barbecue competitions, private catering, large events like this, and even pop-up food truck style events). It’s now official, and we’d like to introduce you to Ember and Vine. We’re so honored Peter Szymczak interviewed us for this article. This is a big deal to us! In it Szymczak chatted with five catering companies that focus on wine country events. The fun twist is that all five are husband and wife teams! There’s just something about wine and food that brings couples together to want to start a business I guess. If you’re local you can find OWP in several locations throughout the state, or you can access the full article here. Here’s the section on us. 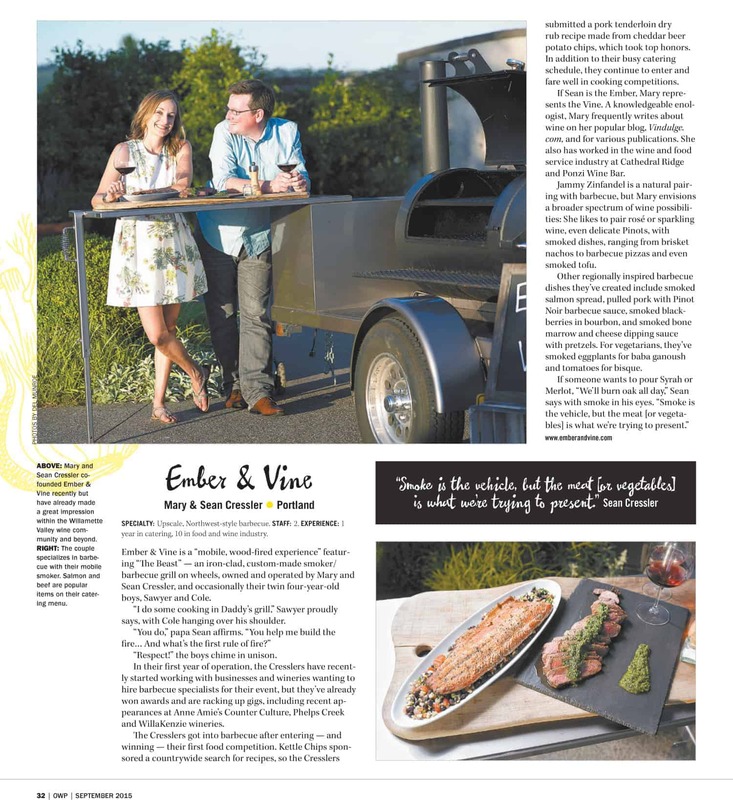 Thank you so much to Peter Szymczak and Oregon Wine Press for featuring us. We are truly honored. We also want to thank Del Munroe for the awesome photos. We love them! For more information on Ember and Vine check out our new website. The site is still brand new and we’re still working some stuff out and will be adding more pages in the near future, but we welcome any feedback on it (just be gentle please)!